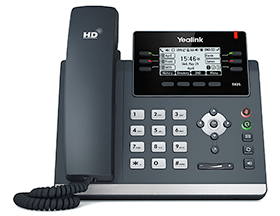 The Yealink T42S is a multi-line IP Phone from Yealink's business line of products The T42S is simple/straightforward to configure and some of its most notable features include HD Audio, Gigabit Ethernet, and PoE (Power over Ethernet) support. 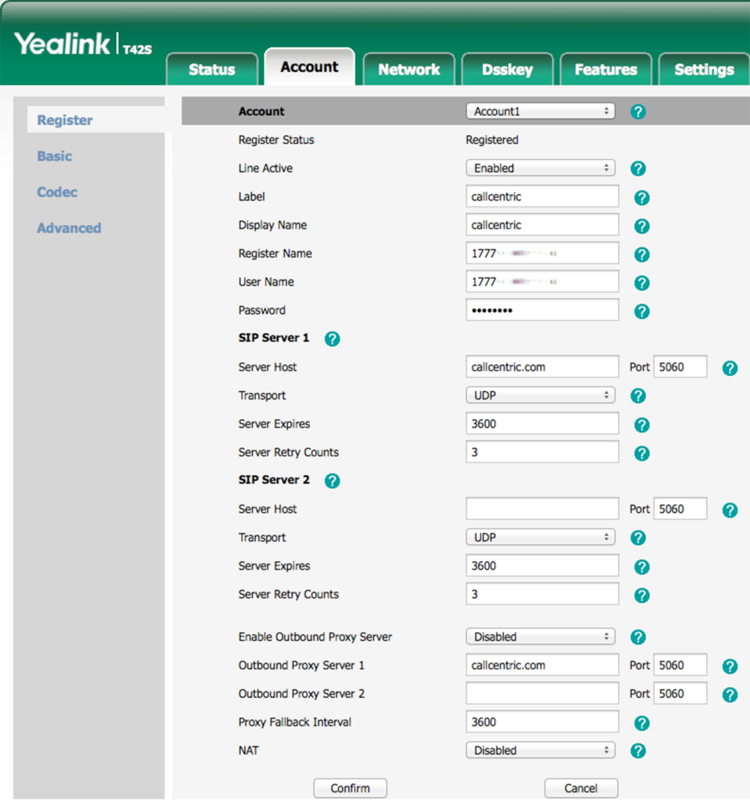 This guide is based on the Yealink T42S hardware version: 67.0.0.0.0.0.0 running firmware version: 66.81.0.110. If you are running a different firmware revision, some of the menus and settings may be different. These instructions are also based on using the T42S in its factory default configuration, which obtains a dynamic IP address automatically from your router using DHCP. 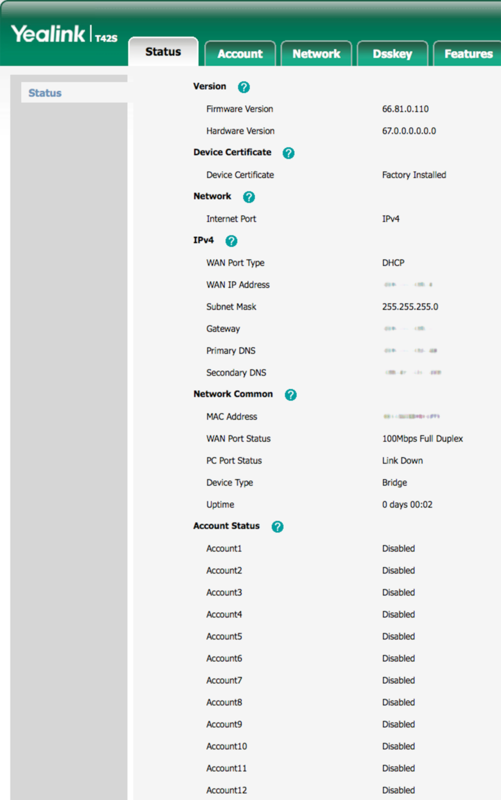 For information on configuring your T42S with a Static IP address, please refer to the T42S User Manual. For the purpose of this guide we will use the web interface to add a new account. Connect your T42S to your router using the included Ethernet cable. Once completed, connect the AC adapter to your phone and then plug the other end into an available power outlet. Note that some models of this device do not come with an AC adapter and instead draw power from the Ethernet cable (POE). 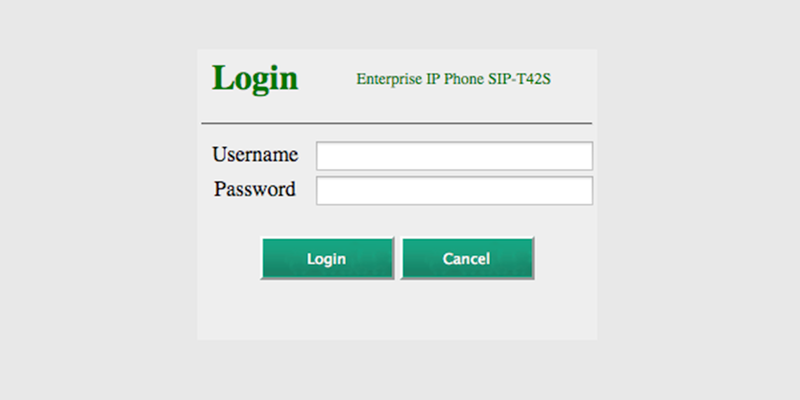 Next to retrieve the current IP address of your phone (assuming that your IP phone is properly connected to your network and is powered on); press the menu icon OK on the IP phone itself; which should display status information of your IP phone such as IP address/MAC address and Firmware revision. Open a web browser on your computer (Chrome, Firefox, Internet Explorer, Safari, etc) and enter the IP address that is displayed on your phones LCD screen (for the parameter IPv4) into the address bar. Register Name This is either the default extension 1777MYCCID OR 1777MYCCIDEXT, where 1777MYCCID is the 1777 number assigned to you by Callcentric and EXT is the three digit extension you are trying to register this UA to. User Name This is either the default extension 1777MYCCID OR 1777MYCCIDEXT, where 1777MYCCID is the 1777 number assigned to you by Callcentric and EXT is the three digit extension you are trying to register this UA to. Password Enter your SIP Password here. Your SIP password is the same password you selected when you were signing up for your Callcentric account. Optionally you may change it in your extension preferences. Once completed, please click on the Confirm button located at the bottom of the page to apply/save your changes.